if you’re using canvas as I did, you’ll need canvas/jeans needle of 100/16 or 110/18 and heavy duty thread too. Match the raw edges of the fabric strip, lengthwise, right side in and sew down that line with a 1/4″ seam allowance to make a tube. Turn the tube right side out, press the tube so the seam falls in the middle, and press. 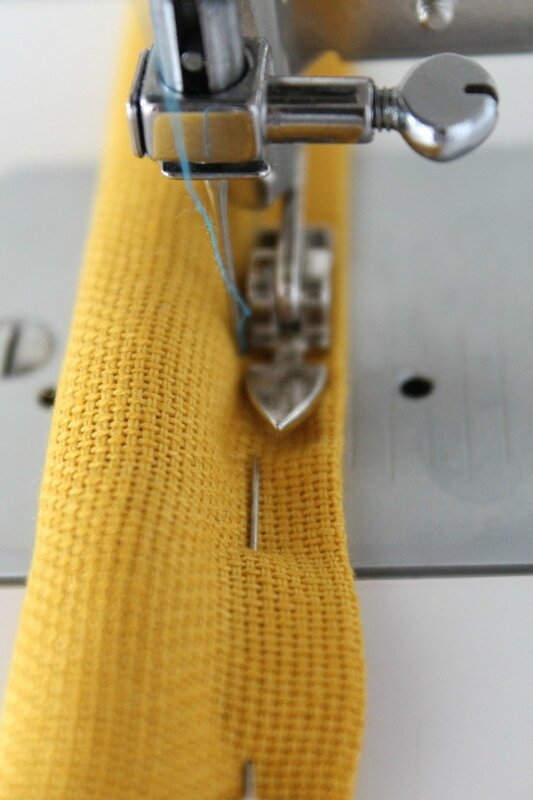 Lay your cording 2″ = 5 cm away from one end of the handle and stop at 2″ away from the other end. 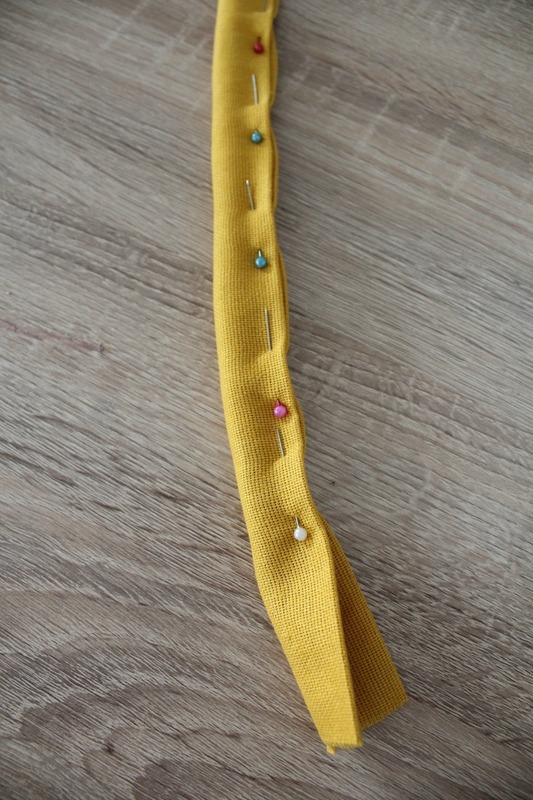 Match the edges of the fabric strip so it wraps around the cord and pin in place. 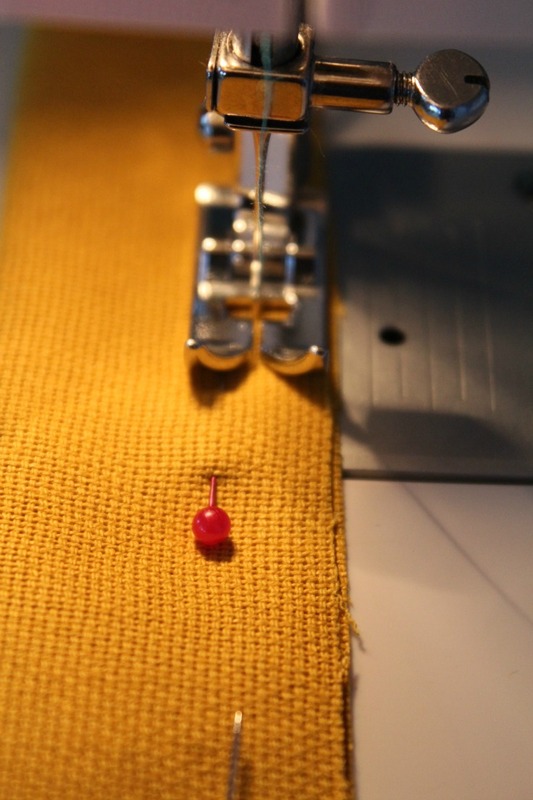 Using a zipper foot, sew around the edge a 1/8″ seam. If you think your cording needs more stability so it won’t slip out, glue the ends down to the fabric before sewing closed. You’re done! 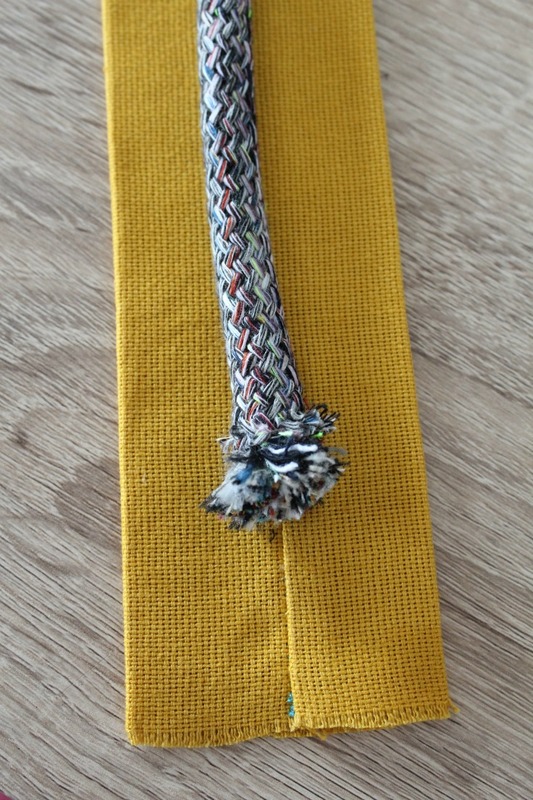 Now attach your beautiful corded handles to that gorgeous bag you’re making! You aren’t the only one that carries around a house in their purse. I’ve been teased about the size of my purse. I actually went out and bought a dollhouse kitchen sink and now carry that in my purse too. When I get teased I pull out the sink. Makes people laugh. Hi Midge. You need to read the instructions again, carefully. There is no hidden seam “with the pulled cord”. Following written instructions instead of just photos would also be helpful. Thanks! 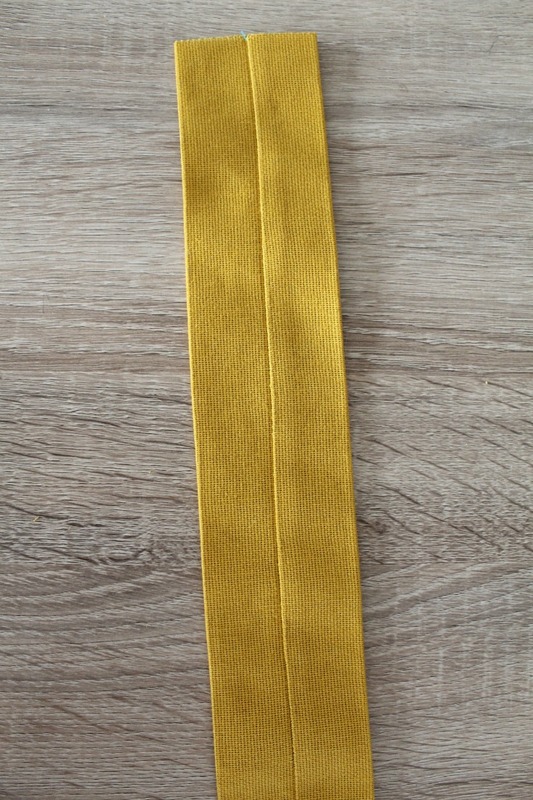 what do I do after I sewed with the zipper foot, do I trim the fabric that the zipper foot rode on of where does it go? Julia, you’re done at that point, if you followed my instructions and measurements! 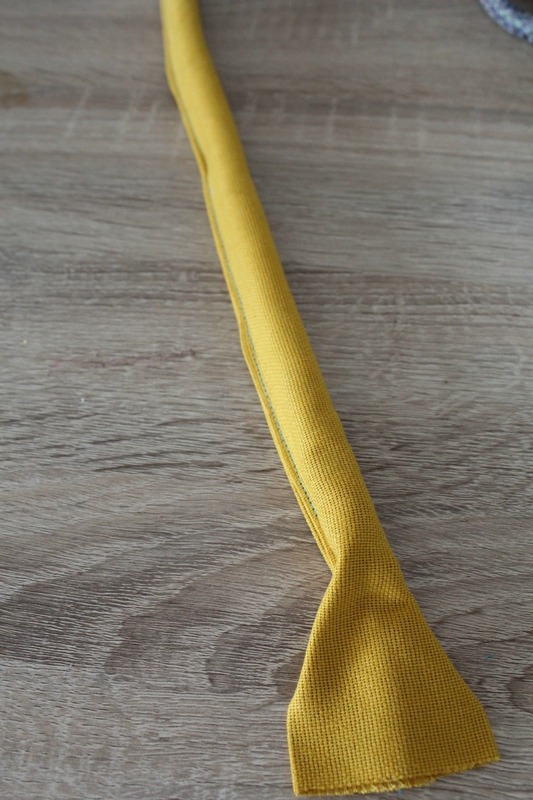 You just need to attach the handles to the bag you’re making these for. Thank you gor this amazing bag and handles tutorials. I would like to receive future newsletters and sewing tutorials from you. Thank you again! Hi, Rosa. Thanks so much for stopping by and for your lovely comment. I’m happy to help and hope you like my other tutorials too. Thanks so much, Angela! Happy sewing! Great tutorial, as always, Petro. 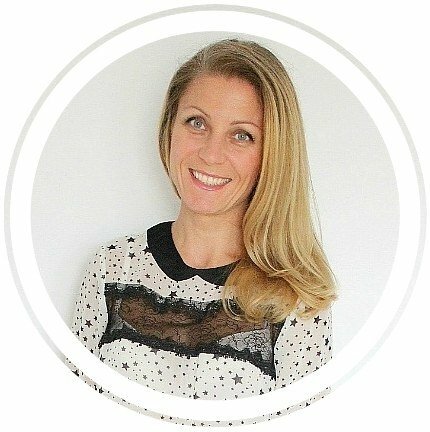 Featured today….